Americas Best Value Inn Houston/Hobby Airport offers the most value for your money when staying for business- pleasure- or just passing through. We offer clean spacious rooms- in-room Wi-Fi- free coffee in lobby- and free continental breakfast. All guest rooms include microwave- mini-fridge- coffeemaker- hairdryer- cable TV- ESPN- alarm clock radio- free local calls- and wake-up service. Take advantage of our extremely comfortable beds and relax while saving money year-round with our Kids Stay Free Policy *16 and under in parent*s room*. For those guests that are in town on longer term corporate assignments or business trips we also offer special weekly and monthly rates- as well as direct billing options. For your convenience our hotel offers both smoking and non-smoking rooms. Sorry- no pets allowed. We are only 2.5 miles from William P. Hobby Airport and nearby several local attractions such as University of Houston. We are conveniently located off of I-45- on the service road between Monroe Road and Airport Boulevard. Americas Best Value Inn Houston/Hobby Airport offers ideal accommodations and location whether you are in town for golfing- swimming- or to visit Reliant Stadium-George R. Brown Convention Center-Minute Maid Park-Toyota Center-Downtown-Houston Zoo-Houston Symphony Orchestra- Houston Grand Opera-Houston Museum of Natural Science-Downtown Aquarium and Art Car Museum. We*re also centrally located to Houston Medical Center and NASA. The Port of Galveston is located nearby; where major cruise ships board and disembark. At Americas Best Value Inn Houston/Hobby Airport our goal is to provide our guests a great experience- not just a place to stay. At Americas Best Value Inn Houston/Hobby Airport- We*ve Got You Covered from the time you hit the road until your head hits the pillow. 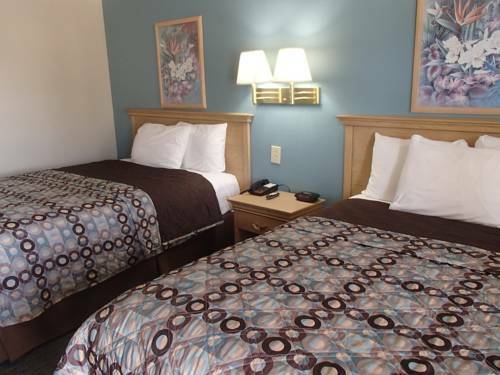 Americas Best Value Inn Houston/Hobby Airport is conveniently located off of I-45; on the service road between Monroe Road and Airport Boulevard. Our address is 8888 Gulf Freeway- Houston- TX 77017.